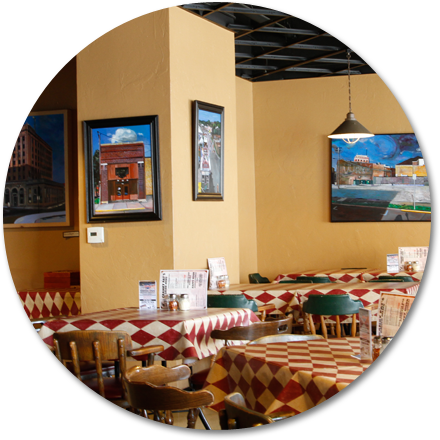 Since 1955 Pat Earle's recipe for amazing, award winning pizza has been filling the bellies of Fox Valley residents. When you bite into the original Cranky Pat’s style thin crust, you know that it’s made with freshest ingredients. The toppings come piled on with copious amounts of cheese over Pat’s own sauce. 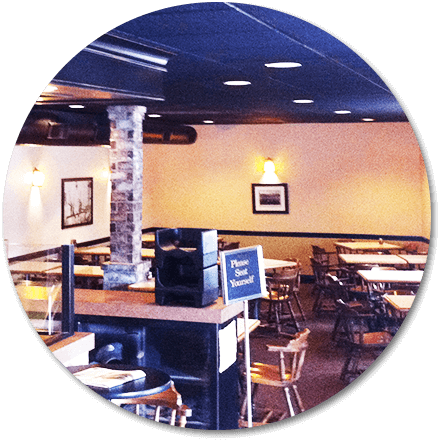 At each location, you will find plenty of seating for families and parties of all sizes. Each location contains a salad bar with fresh greens as well as unique toppings so each trip yields heaping bowls of deliciousness. All of Cranky Pat’s pizzas are cooked the way Pat cooked them, in a slow cooking oven which allows all the flavors to be brought to their greatest zest. It may take a little bit longer to get a Cranky Pat’s pizza in front of you, but the wait is most certainly worth it. 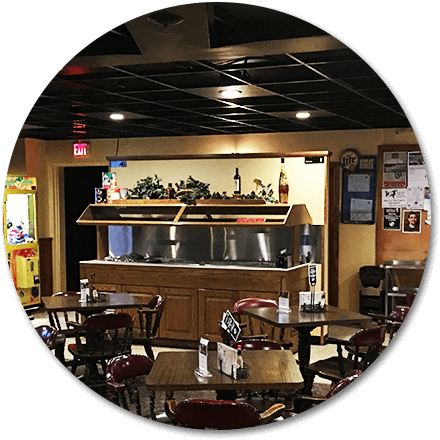 Neenah’s location includes a full bar and Live Music many nights of the week. Look for their live music calendar to stay up to date on many of the acts coming to the area. Green Bay’s location has a fantastic family feel with space to accommodate your needs. Oshkosh features a full bar with an arcade and fun events like “vinyl record nights.” What are you waiting for? Come on down to any of our locations and get the best pizza in town today!